Spouse (s): Humayun Faridi (divorced), Badrul Anam Soud. 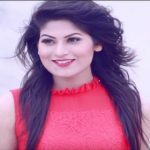 Suborna Mustafa is an outstanding actress in the small screen of Bangladesh media industry. She has built up a career in the showbiz arena and becomes a popular actress to the people within a short time. Most of her time, she was involved in film industries. Suborna Mustafa was born on December 02, 1959 in Dhaka, Bangladesh. She is the daughter of Gholam Mustafa and the sister of Camelia Mustafa. Suborna’s father was an actor and mother an actress and radio producer. She has passed SSC from Viqarunnisa Noon School. Then she completed HSC from Holy Cross College and Masters in English Literature from Dhaka University. From school life, she was involved with the media world. Actually, Suborna Mustafa got a chance in the media industry with the hand of her father. Now, she is more popular than her father and sister to the audience. 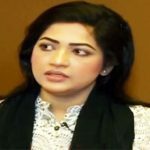 She started her acting life through the movie ‘Goddi’ in 1980, with this film she has occupied highest achievement in her life and set out her journey as a film actress in the Bangladesh film industry. Then she acted in her second film ‘Nuton Bou’. Nuton Bou, Palabi Kothay, Shankhanil Karagar, and The Distance are outstanding works of Suborna. These are the most popular and remarkable film in her life and to the common people. Through these films, the filmmaker has portrayed the picture of Bangladesh and custom, culture and taste of the people. She has grabbed a high position among the film stars through her passion, acting, attitude, love, and affection. There is no dying fact that she has also popular to the audience for her extraordinary outlook. We overlook that the light of the eye is one of the most remarkable films, by this film has aroused the catharsis seen in the audience’s heart. First of all, Suborna got married with Humayun Faridi, who was the legend of the Dhallywood film industry. They got divorced on March 28, 2008, although has been started living separately since February 23. On July 7, 2008, Suborna Mustafa married again to Badrul Anam Soud.